August 8, 2013 - Program Library – How can we help you? When you go to your My Programs page, you'll notice a couple of small changes that we've made. The first is a button in the upper right that says "Program Library". What is the Program Library? It's a collection of programs from various users that you can search, view, and even copy into your own My Programs list! You can share your own programs by clicking on the "Share" link in the controls column-- don't worry, you can always change your mind and stop sharing at any time! The Program Library becomes more powerful and beneficial as more clients participate, so please contribute to it today! So how does the new Program Library work? We thought you'd never ask! You can search programs by organization name, program name, or by tags-- the organization and program names don't have to be perfect matches, so you could search for "community foundation" or "grant" and pull up any organizations or programs with those words in their titles. The tags are also something new-- you can set tags for each of your programs on the "Edit Program" page. 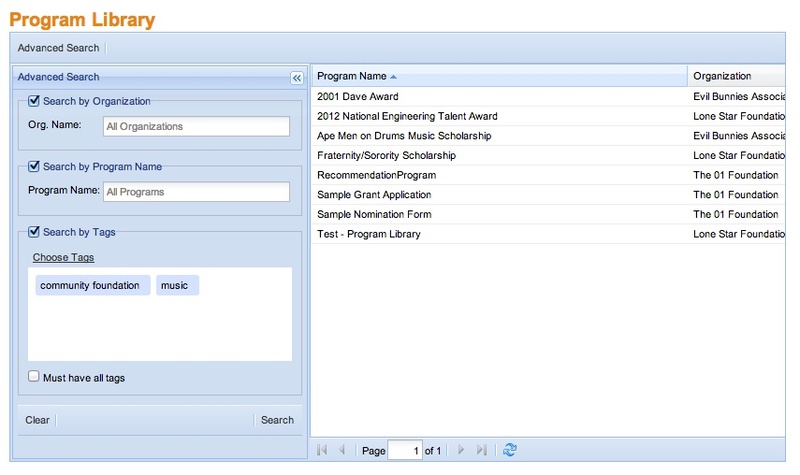 Tags let you pick a few words that describe your program, such as "music" or "Arizona". Tags are important because they can share more information about the program type than the organization or program name alone, and they offer new ways to search for similar programs! That's right-- we have a new question type for you to use! Introducing the Number question, where you can find the most popular number inputs that you could need in an application. You can create money questions with a variety of different currency types (e.g. USD, CAD, Euro, Yen, Peso, etc. 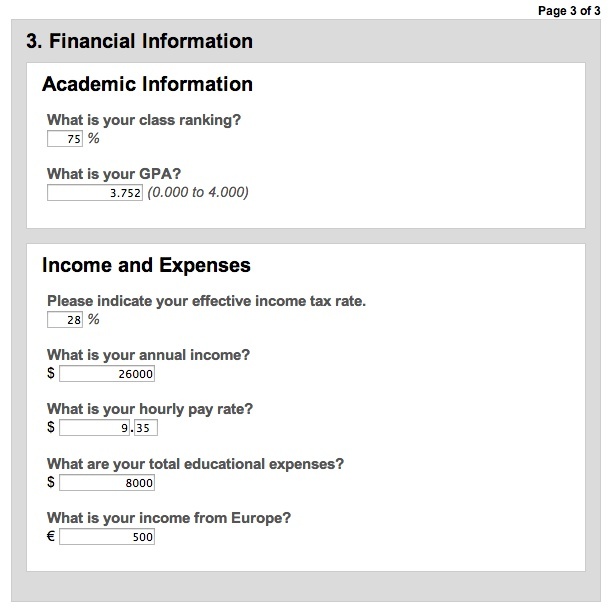 ), choose whether you want to show cents or round, work with percents, require whole numbers or allow your applicants to use decimal places, and establish a number range. You can set a minimum, a maximum, both, or neither on the range! We've automatically converted all of your old Single-Line Text questions that had Number range validation to the Number questions, and the old options have gone away-- from now on, your applicants have a quicker, cleaner way to answer all your number questions!